But just when you think you’ve already seen plenty of such videos, Florida’s musicians add a twist that will definitely raise your eyebrows (spoiler alert!). At the end of the clip, when the singer turns on the TV, he finds out the apocalypse is nearing! He rushes to the phone but his phone line is dead due to “the state of emergency”. And the TV screen that just read “end of the world” loses any signal whatsoever. The album-closing, most personal song from Crooked Shadows, ‘Just What To Say’ also features Against The Current’s voice, Chrissy Costanza. 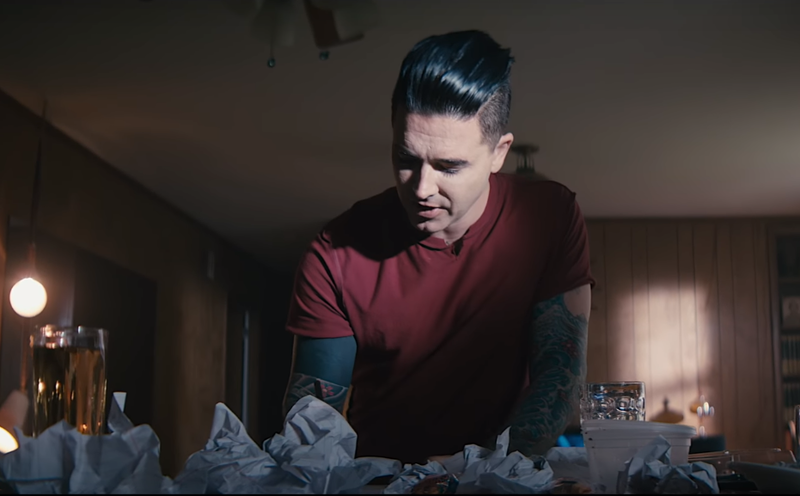 The guest singer doesn’t appear in the clip, but the music video isn’t lacking anything, as its idea is going alone through this desperate search for words and inspiration. Dashboard Confessional’s seventh album, Crooked Shadows, dropped Feb 9. The band has completed their US tour and is currently on the road in the UK, which will be followed by shows in Ireland, Australia and New Zealand. See the upcoming tour dates, scheduled all the way till Dec 13 here. Don’t be antisocial! Join AlteRock Facebook and Twitter to stay tuned for rock and metal news about your favorite bands.